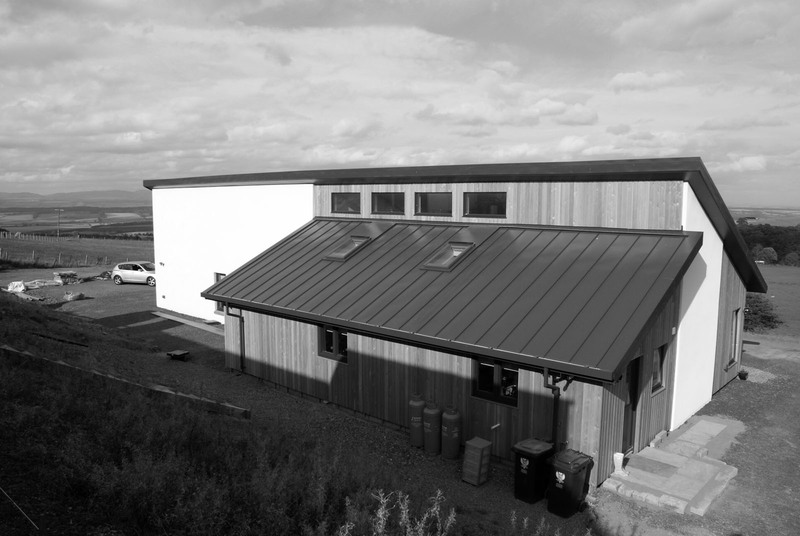 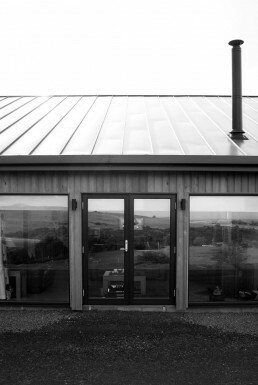 The house has a large metal mono pitch roof with render and timber cladding. It sits on a sloping site adjacent to an existing farm settlement. 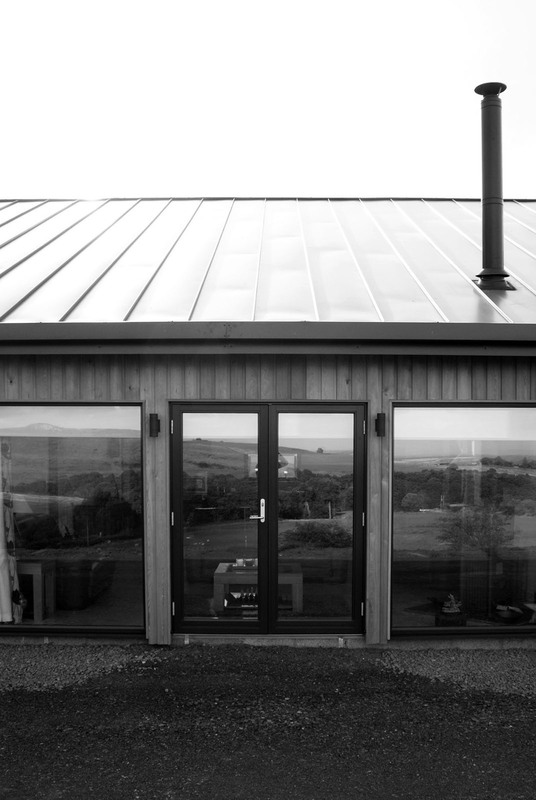 There are large areas of glazing to take in the views to the north east and clerestory glazing allowing light from the south into the double height living space. The interior features an open plan kitchen / dining / living space with full height ceilings following the profile of the roof. 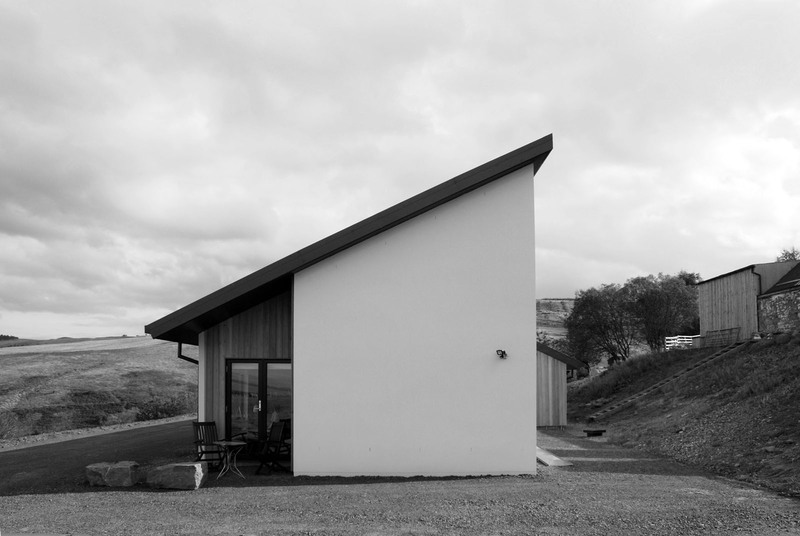 The three bedrooms also have raised ceilings with the orientation of the house allowing every room generous views across the countryside.